It was recently revealed that the Black and Latino Studies Building, pictured above, will soon be renamed the Gordon White Building. Photo courtesy of The University of Texas at Austin. I am a student at UT, a nontraditional student in the Center for Mexican American Studies and the department of Mexican American and Latina/o Studies. It recently came to my attention through a letter that a ceremony will soon be held to announce that the BLS (Black and Latino Studies) building has been renamed the Gordon White Building. According to the letter, it is being named after Edmund T. Gordon’s parents (he is the Chair of the African and African Diaspora Studies Department) and Charles and Fran White, artist-activist and teacher-activist, respectively, who donated art pieces that now hang in the Blanton Museum of Art. The objection I have is that there is no part of the name that honors anyone in Mexican American Studies/Latino Studies. In fact, we the students did not even receive notification or even an invitation to the event. As you can see, the event is already scheduled for May 6. While no disrespect is intended to the Gordons or the Whites, I, as a Mexican American Studies student, feel that we have been slighted. The intent of the building was to house both African American Studies and Mexican American/Latino Studies, and yet it seems that we were left out completely from the name selection and from the renaming ceremony. And my understanding is that the AADS students also had no idea this was even happening and that they also feel that attaching the name “White” is somewhat discordant with a building built to house African American students and Mexican American/Latino students. As hard as it has been for our communities to come out of the shadows, we have been relegated back into the shadows and taken several steps backward. We would like to know who chose the name and why neither group of students was even made aware that these names were being considered. We would rather have it remain BLS until a name that reflects both departments is considered and agreed upon. — Yolanda Estrada Muñoz, Center for Mexican American Studies and the Department of Mexican American and Latina/o Studies, nontraditional Student. Texas land commissioner George P. Bush speaks Monday evening at the awards ceremony for the inaugural Latin Leadership Award. The president’s office worked in conjunction with the Center of Mexican American Studies and the Department of Mexican American and Latina/o Studies to select Bush as the first awardee, said Dr. Nicole Guidotti-Hernández, associate director of the Center for Mexican American Studies. As a son of a Mexican-American mother and as a Hispanic man who grew up in the U.S., Bush said he was honored to receive the award. Bush said he wants his agency to help both the center and the department. While Bush accepted the award, approximately 15 protesters in the West Mall came to express their dissatisfaction at Bush receiving this award, as well as with his political track record. According to Daniel Yanez, an Austin community organizer, Bush appears to care about issues facing the Latino community, but he hasn’t done anything actually benefitting that group. Protesters addressed several of the issues Bush said he wishes to improve. Students gathered around to listen to feminist activist Martha Cotera, who took a strong stance against most of Bush’s political policies, ranging from immigration to fracking and environmental concerns. C.J. Alvarez, Mexican American and Latina/o Studies assistant professor, leads an “Introduction to Mexican American Culture Studies” class. The University will announce the establishment of the Department of Mexican American and Latina/o Studies on Wednesday, creating an interdisciplinary program to educate students on Hispanic culture. Under the College of Liberal Arts, MALS will educate students about working with the increasing Hispanic population, according to incoming MALS chair Nicole Guidotti-Hernández. “Our goal is to prepare young people to be Latino-serving professionals in light of the changing demographics in the state of Texas and the nation,” Guidotti-Hernández said. According to Guidotti-Hernández, students from different educational backgrounds can study in the program. The program will offer coursework in Hispanic studies as a whole. The department will offer bachelor’s and master’s degrees this fall and — if approved by state higher education officials — doctorate degrees for the 2016-2017 school year. “This department will be an invaluable asset to the state and nation, as they face future challenges and opportunities that come with demographic change,” said Randy Diehl, dean of the College of Liberal Arts in a statement. 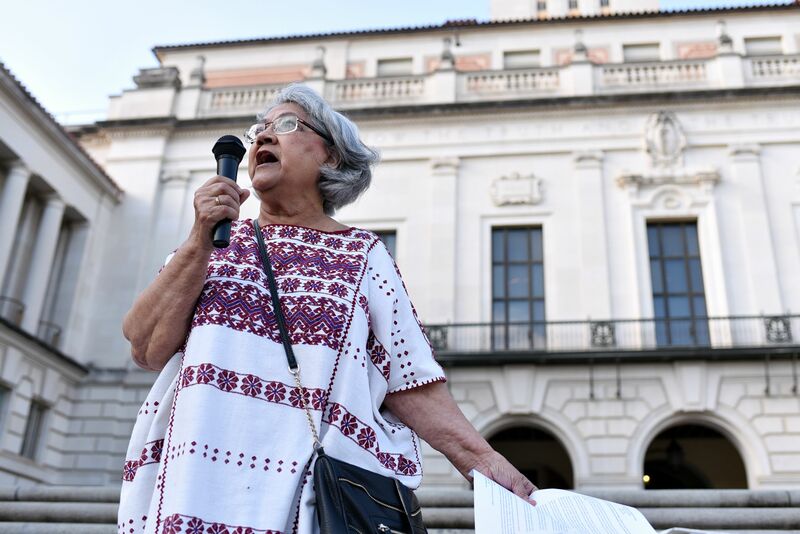 Guidotti-Hernández said the University has offered Mexican-American studies courses for 44 years. The new department will include the current Center for Mexican American Studies, or CMAS, and a planned Borderlands Research Institute. CMAS director Domino Perez said the center will host social and academic programs, while the department will offer degrees and coursework. She said the departmentalization benefits both groups, since they will be able to have their own programs and faculty. The program has 25 students and six professors, but faculty and staff in the department hope to double enrollment. According to Guidotti-Hernández, the major will have three tracks — language and cognition, cultural studies, and policy — which can be combined to suit the student’s particular interests and needs. Guidotti-Hernández also said the department is also looking to develop a minor program by the end of the year.